This installation saw our fitting technicians Luke and Jimmy travel all the way to Swansea, Wales! 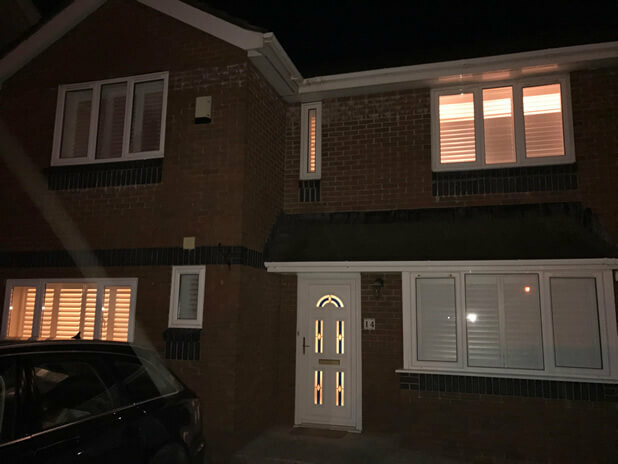 Our guys showed real commitment to our clients for this job by staying overnight in Swansea prior to the installation to make sure that they could complete the shutter installation in all rooms the next day. 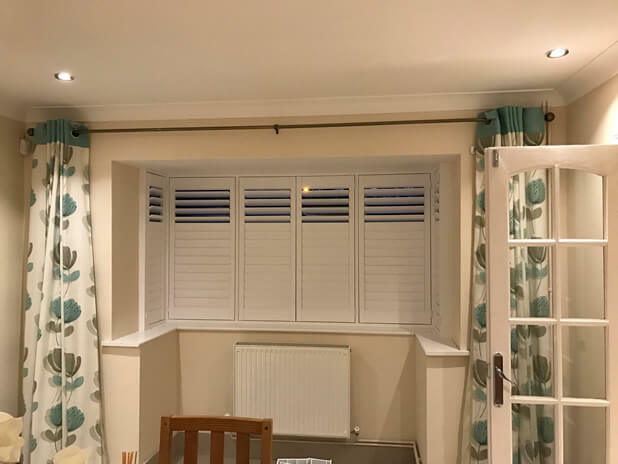 The client was looking for shutters in multiple rooms of the property as they felt they would bring a modern upgrade to the home with a far more stylish look and feel than curtains or blinds. They were also attracted to the idea of how easy they are to clean and liked the added heat loss reduction benefits of our shutters for the colder months on the larger windows of the home! All in all the client was really looking forward to all the benefits these new shutters would bring! 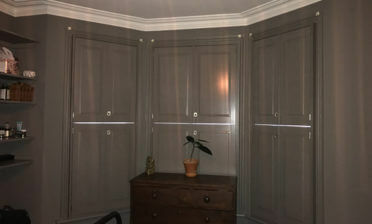 The shutters were to go in many different rooms including bi-folding shutters in the living room leading out to the patio. 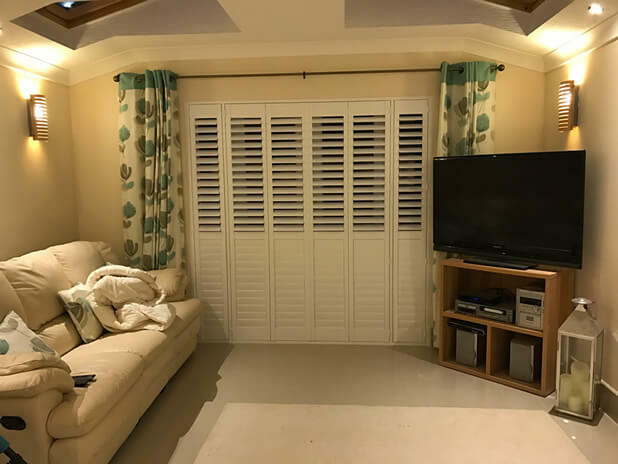 These shutters look fantastic and offer a top to bottom solution covering the doors behind, yet still providing easy access when needed! 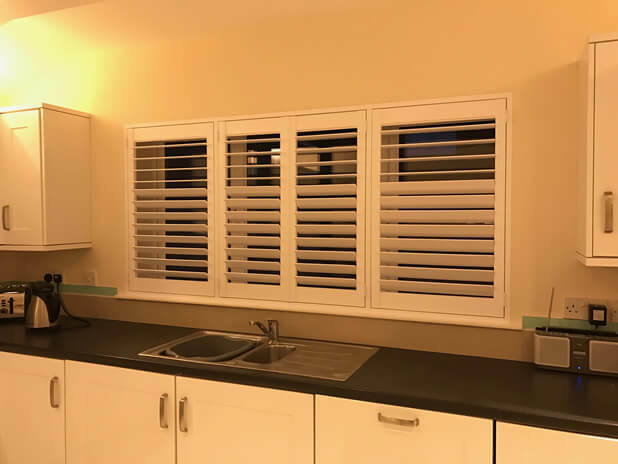 We also installed some shutters to a square bay window and a number of flat standard windows in a seating area and the kitchen. 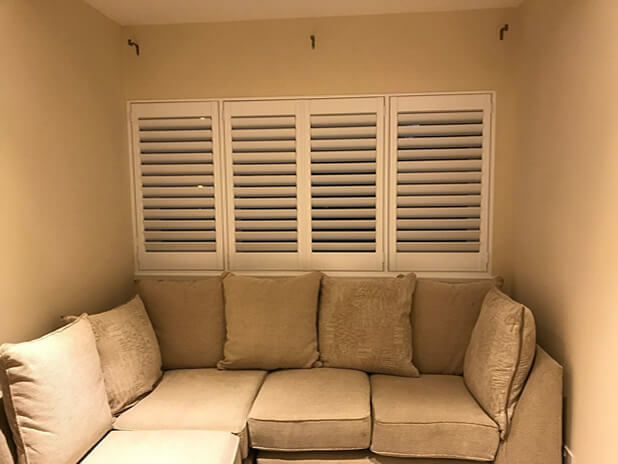 These shutters were created with invisible splits, allowing the top and bottom louvres to be adjusted separately without the need for a mid-rail! 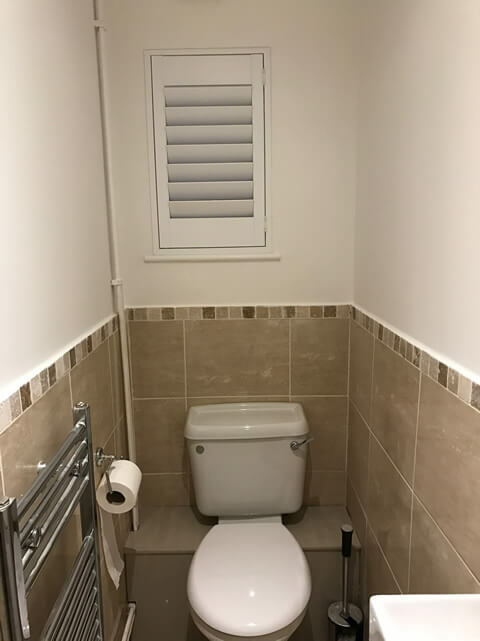 These smaller shutters were fitted to other areas of the home including the toilet, making the most out of the small windows with some shutters that will match in with the bigger ones in the property. 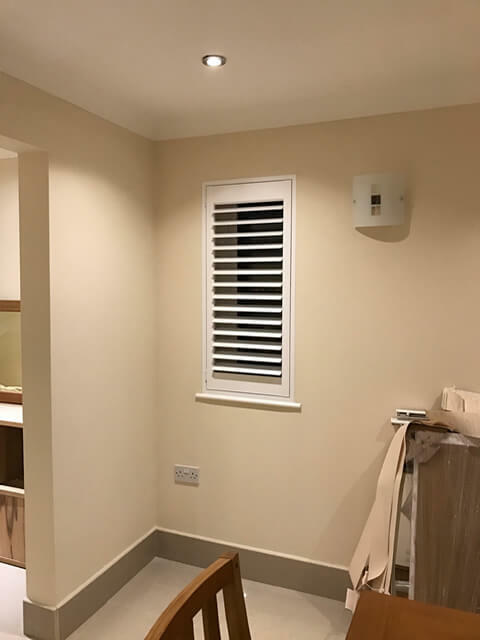 As with all the other shutters they feature a hidden tilt rod system which allows all the shutters in the home to be adjusted by touch, rather than having slightly tilt rods. 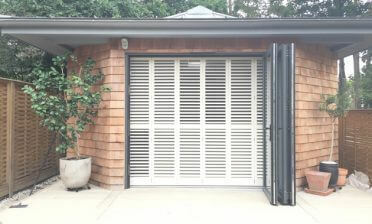 The shutters were all finished in pure white paint with 76mm louvres and created from our Fiji range of hardwood. 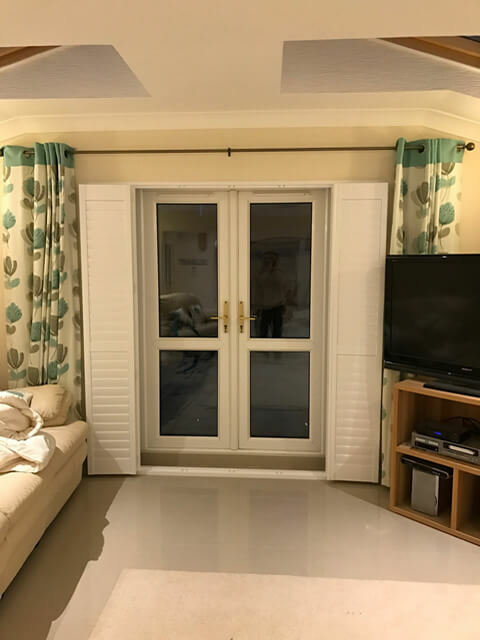 The client went for this material mainly for the advantages of having a lightweight yet robust wood for the patio door shutters and decided to use the same range of material and finish all through the home. 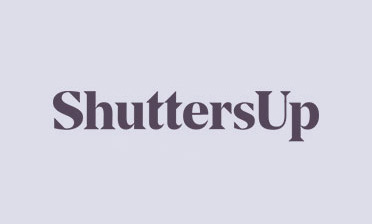 They also come with an extended warranty compared to our more entry level shutters! As you can see the shutters look fantastic from outside of the property transforming all the windows!